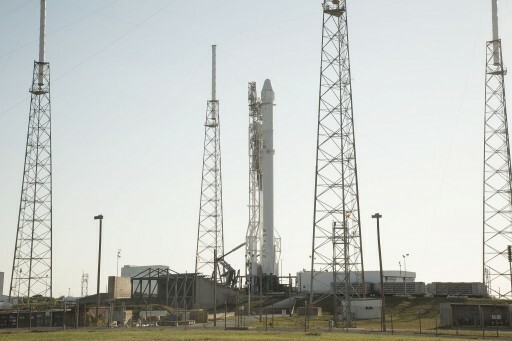 A SpaceX Falcon 9 Rocket is counting down to an afternoon liftoff from Florida’s Space Coast at 4:43 p.m. on Friday, 20:43 UTC to mark the return of the Dragon Spacecraft to the International Space Station after a stand-down of eight months. Lifting off from Space Launch Complex 40, Falcon 9 will be tasked with a ten-and-a-half-minute climb to orbit to send Dragon on its way while the first stage booster will be making another attempt to land on SpaceX’s Autonomous Spaceport Drone Ship to finally achieve a successful recovery at sea. After Tuesday night’s Static Fire Test which was completed late in the window due to minor issues on the ground, SpaceX headed into final reviews of data gathered during the brief ignition of the nine Merlin 1D engines and the complete tanking-de-tanking sequence to confirm Falcon 9 was ready for launch. 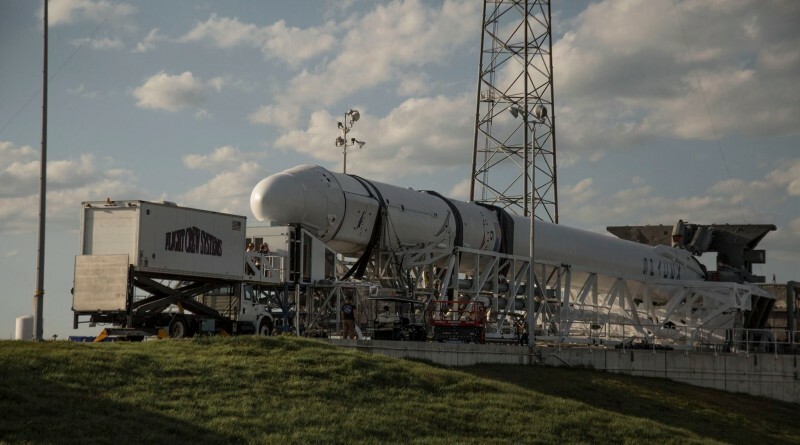 The Launch Readiness Review completed on Thursday attested Falcon 9, Dragon and all ground support systems a clean bill of health, allowing launch preparations to continue. Thursday afternoon was a busy period at the Launch Pad: With a mobile white room in place on the horizontal rocket, teams were able to open up Dragon’s side hatch for the late cargo load – a unique capability of the Dragon as items can be loaded as late as around 18 hours to launch, not possible for other ISS cargo vehicles. Late load items included fresh food for the crew and the Rodent Transporter with 20 mice in a study of a novel drug that may counter bone and muscle loss in spaceflight and muscle-wasting diseases on Earth. Other late load items included different biological studies looking at crystal growth and gene expression in space. 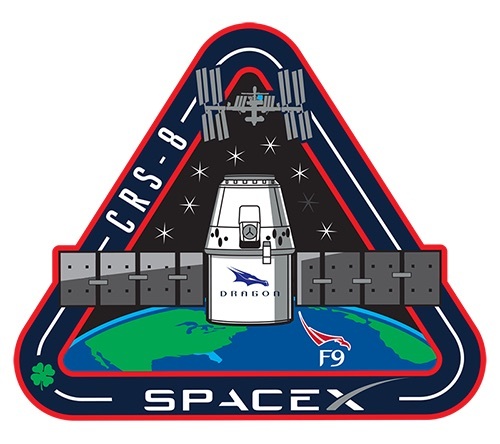 Friday’s Dragon mission is the first after the June 2015 Falcon 9 launch failure that claimed the loss of the Dragon SpX-7 spacecraft and all cargo on board, including the first of two planned International Docking Adapters needed to make the station’s docking ports fit for Commercial Crew traffic. After the loss of the mission, caused by a structural failure in the second stage’s Helium pressurization system, it was determined that the Dragon spacecraft had survived the break-up of the Falcon 9 rocket and continued sending telemetry signals until meeting its fate when impacting the Atlantic at terminal velocity. Because Dragon managed to survive the failure of its carrier rocket, SpaceX implemented a new abort system – purely by using software to give Dragon the ability to sense when something goes wrong on ascent and deploy its parachutes to make a safe splashdown in the Ocean to save the cargo aboard the vehicle in case of another launch failure. 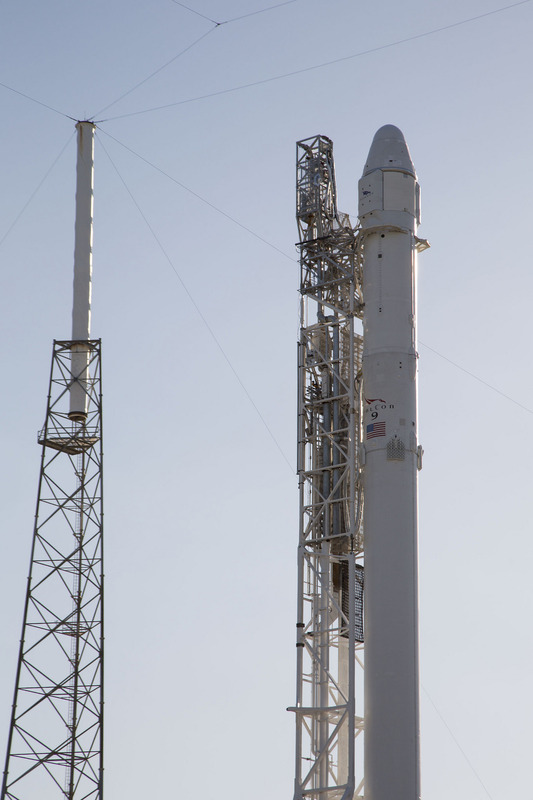 The system is in place for most of the ascent into orbit until about 20 seconds from Second Stage Cutoff due to regulatory concerns of the Federal Aviation Administration associated with Dragon splashing down several thousand Kilometers from Cape Canaveral. In the event of a repeat launch failure, Dragon would be expected to make a safe splashdown in the Ocean and wait for boats to arrive and recover the spacecraft to salvage the expensive cargo it is carrying. Meteorologists are very optimistic about Friday’s Falcon 9 launch attempt, predicting a 90% chance of acceptable weather at the instantaneous T-0 target. Liftoff winds are the only possible issue as a surface trough will push winds from a flow form the sea to a southwesterly direction with gusts to 20KT. A 24-hour delay would see similarly good weather odds with only a 10% chance of cumulus clouds getting in the way. Because SpaceX is aiming for the Space Station and a 1.5-day rendezvous, Falcon 9 will only have an instantaneous launch window at 20:43:32 UTC when the launch site will be carried into the orbital plane of ISS by the Earth’s rotation. Only having an instantaneous window will require Falcon 9 to complete all steps of its Automated Countdown with no issues whatsoever as every hold in the critical 30-minute tanking and countdown sequence will cause an automatic launch scrub for the day. 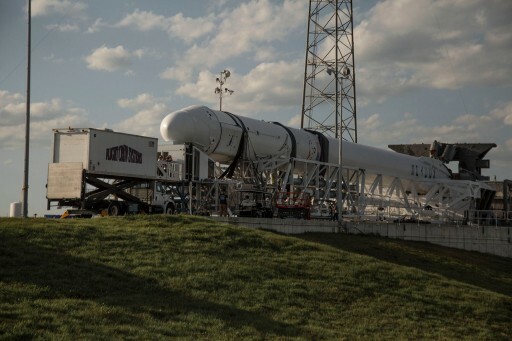 Lifting off in the afternoon hours, Falcon 9 FT will climb into the skies over the Space Coast with a total thrust of 694 metric-ton-force provided by its nine Merlin 1D engines. The first stage will operate for two minutes and 30 seconds, accelerating the vehicle to a speed around Mach 5. Separation of the stages occurs four seconds after MECO and the MVac engine of the second stage will ignite at T+2:41 on a burn of seven minutes to lift the Dragon into orbit. Separation of the Dragon is expected ten and a half minutes after launch and the spacecraft will deploy its two power-generating solar arrays two minutes later to clear the way for its climb up to ISS. Although this flight would provide sufficient performance margin for a first stage return to land, SpaceX opted to have another shot at achieving a landing at sea, using the Autonomous Spaceport Drone Ship ‘Of Course I Still Love You’ deployed to a position around 300 Kilometers north east of Cape Canaveral. 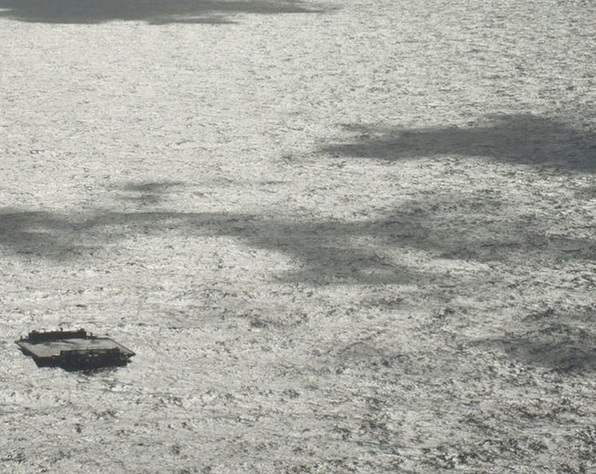 Having achieved a successful landing back at Landing Zone 1 south of the SLC-40 launch site in December, SpaceX is working to finally recover a booster at sea. 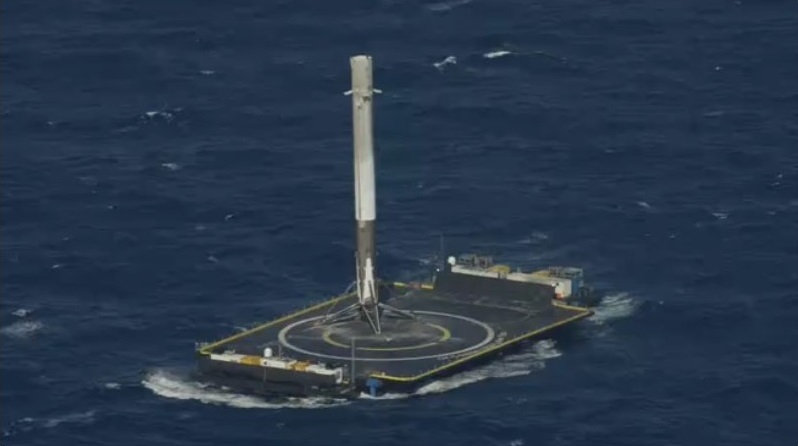 Falcon 9 has come close to standing the landing on the Drone Ship on several occasions, but SpaceX has yet to land a Falcon 9 intact atop the ship’s deck. Sea-based landings will be important for SpaceX’s future business model of cheaply re-flying rocket stages since high-energy missions – either involving heavy payloads or high-energy orbits (or a combination thereof) – will not leave enough fuel margin for a full boost-back to land. 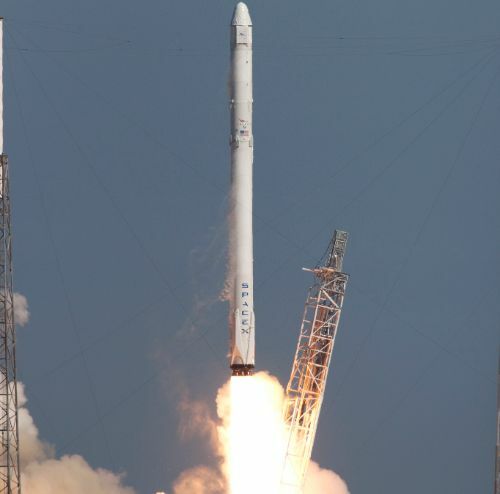 Perfecting the landing sequence for touchdown on the ASDS is therefore important to SpaceX and because the next several missions for Falcon 9 will be performance-limited flights, the company decided to take another stab at an ASDS landing in a mission that has better odds of sticking the landing, and possibly deliver data needed to master a landing at sea for the more challenging missions. 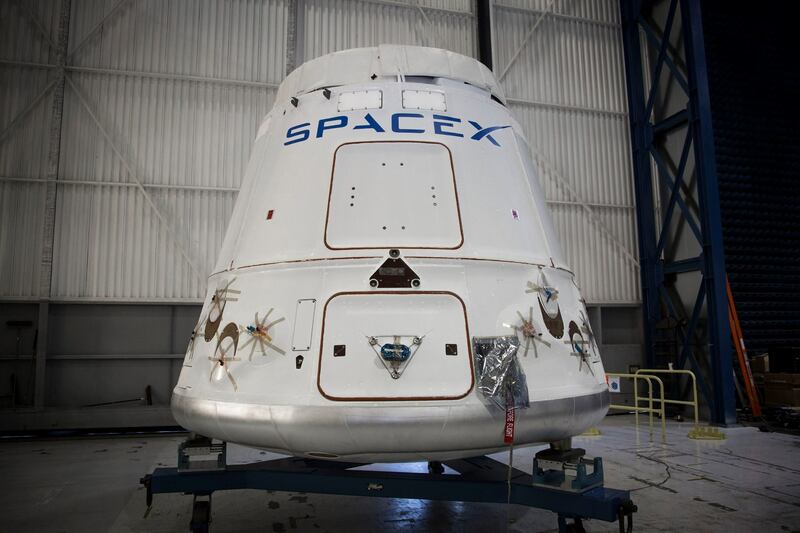 For Friday’s mission, the top priority remains delivering Dragon into a good orbit so that it can begin its climb to ISS for an arrival on Sunday. Astronauts Jeff Williams and Tim Peake will be standing by in the Cupola of ISS, ready to drive the robotic arm to capture the Dragon spacecraft around 11 UTC to mark the arrival of 3,136 Kilograms of cargo at the orbiting outpost.